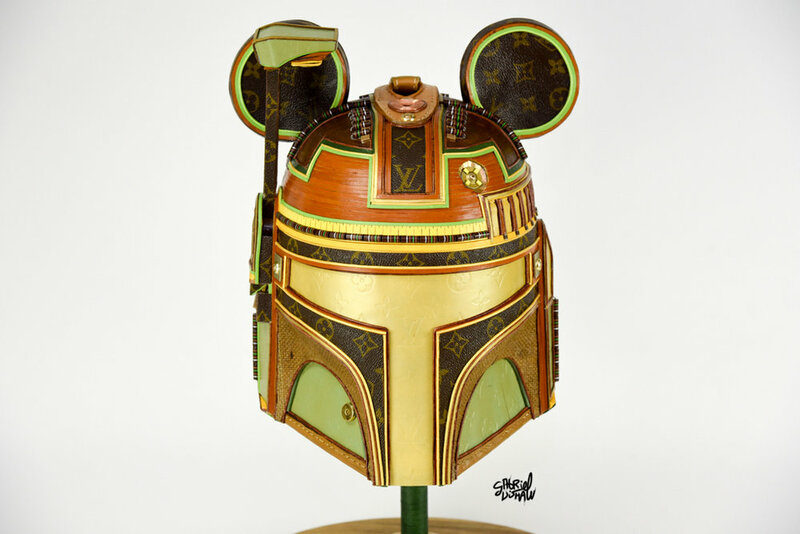 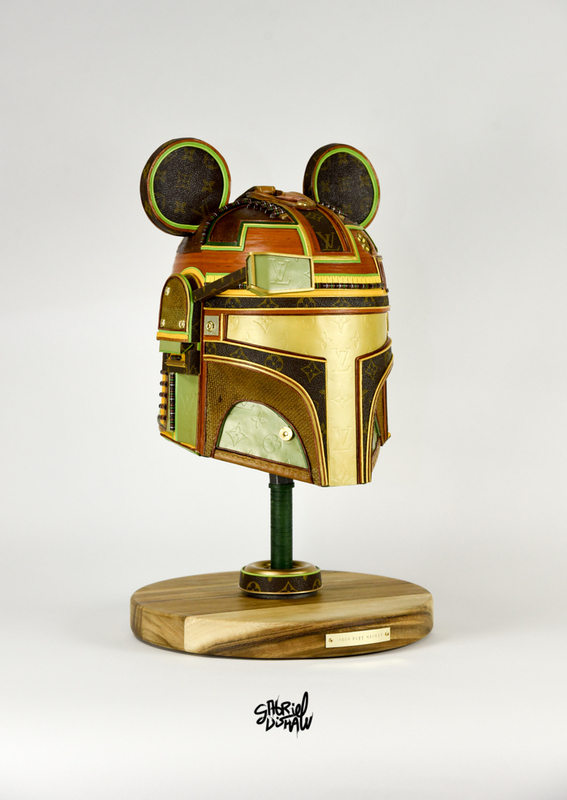 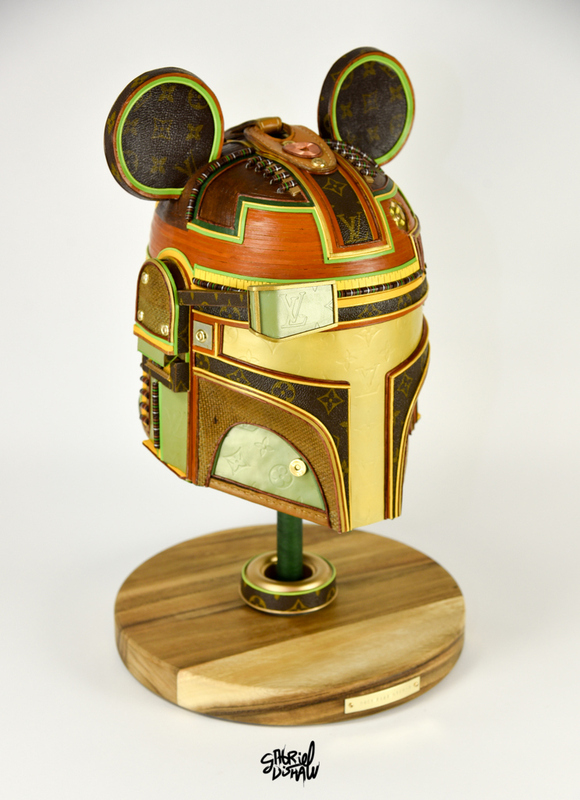 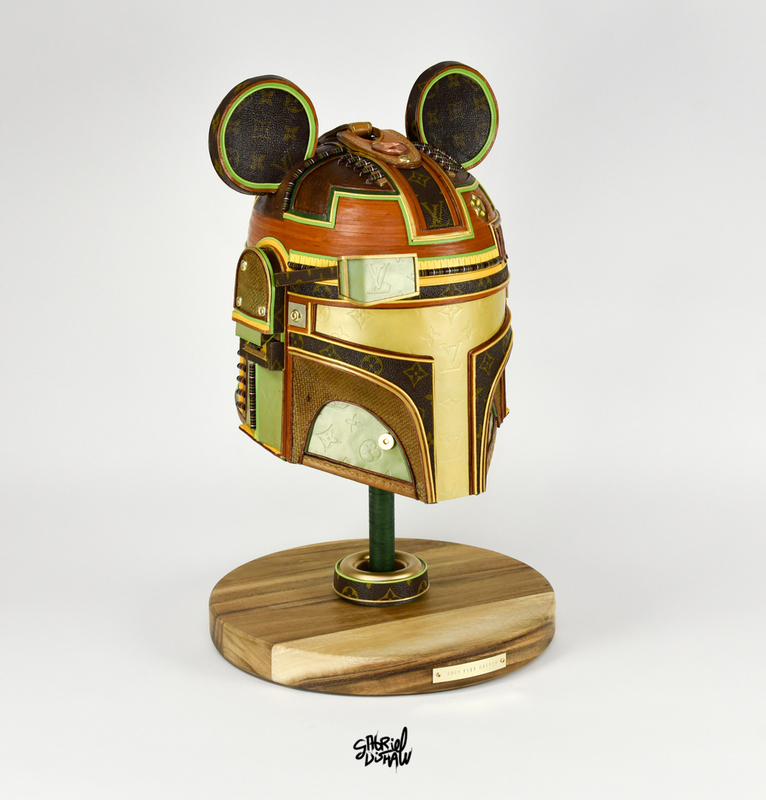 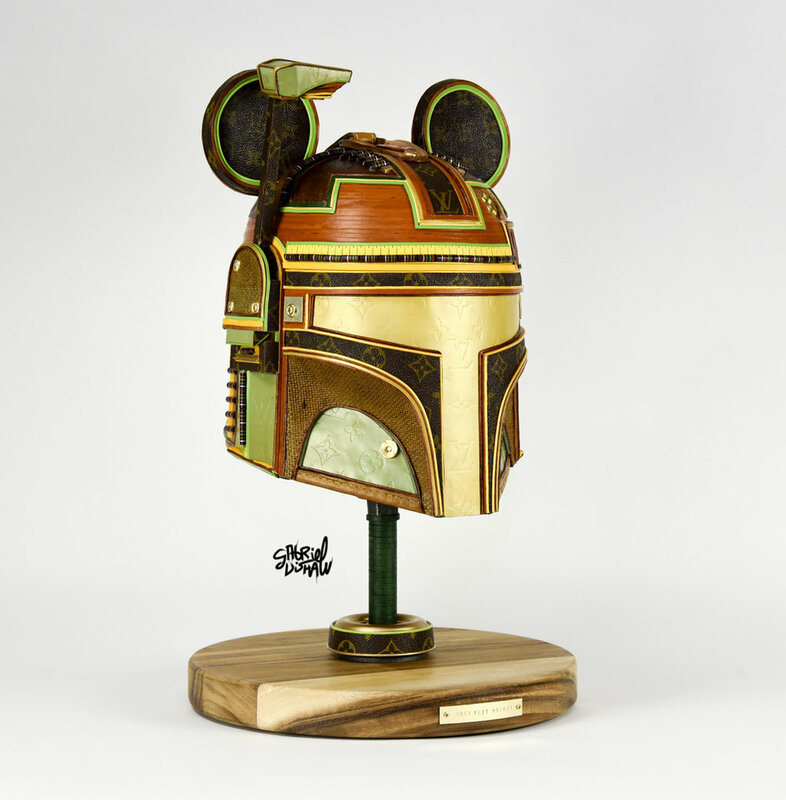 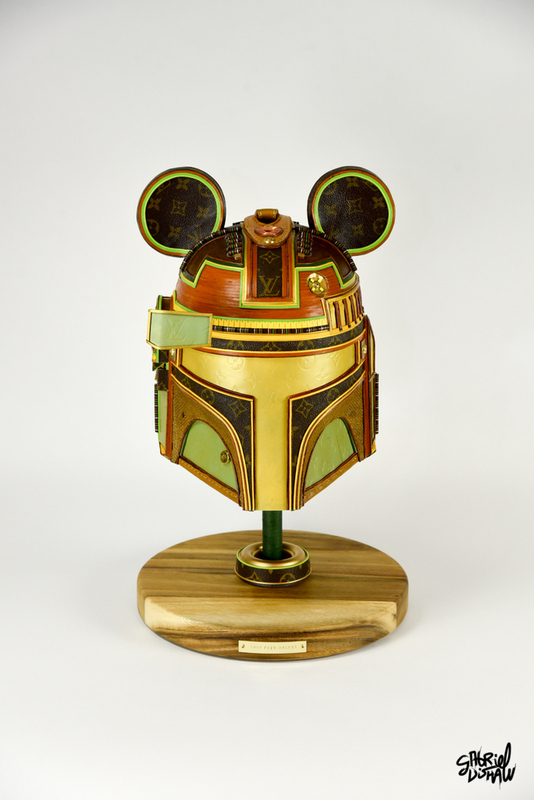 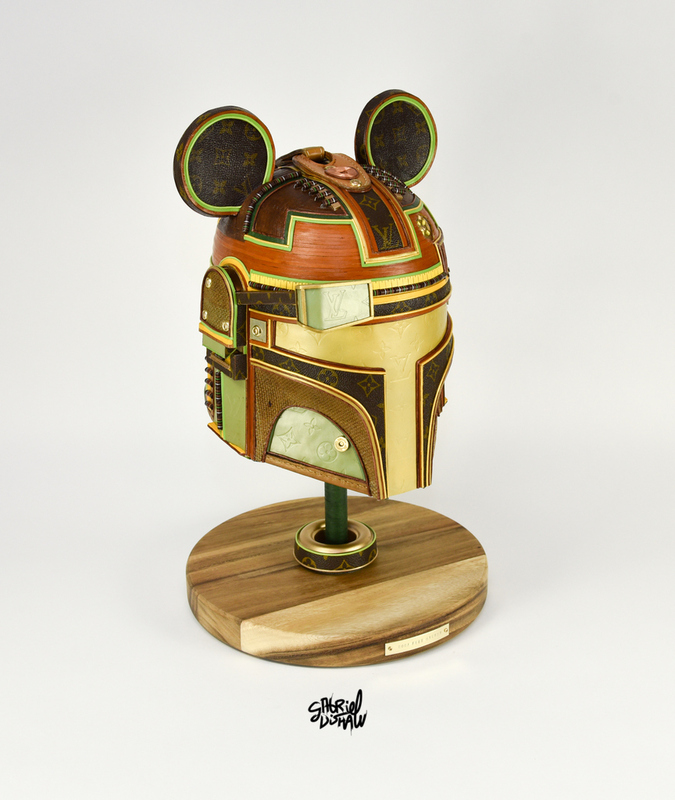 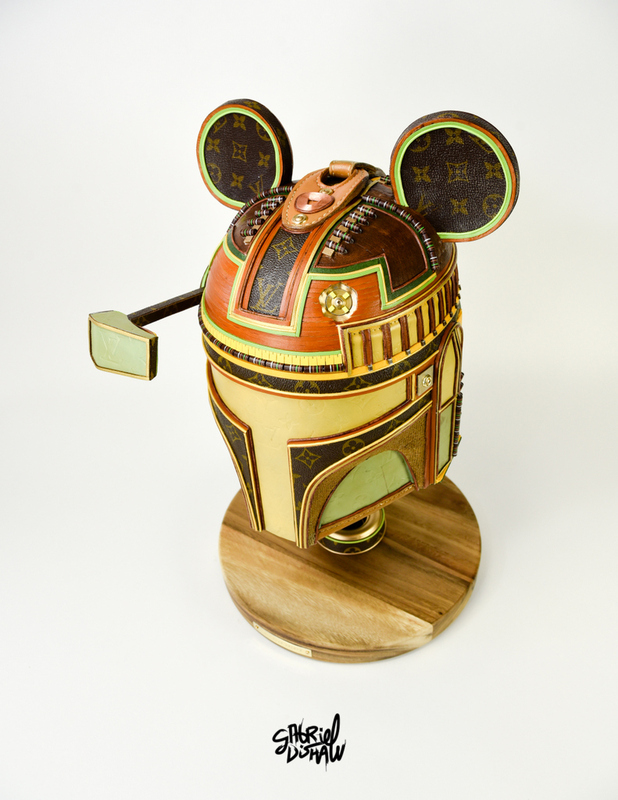 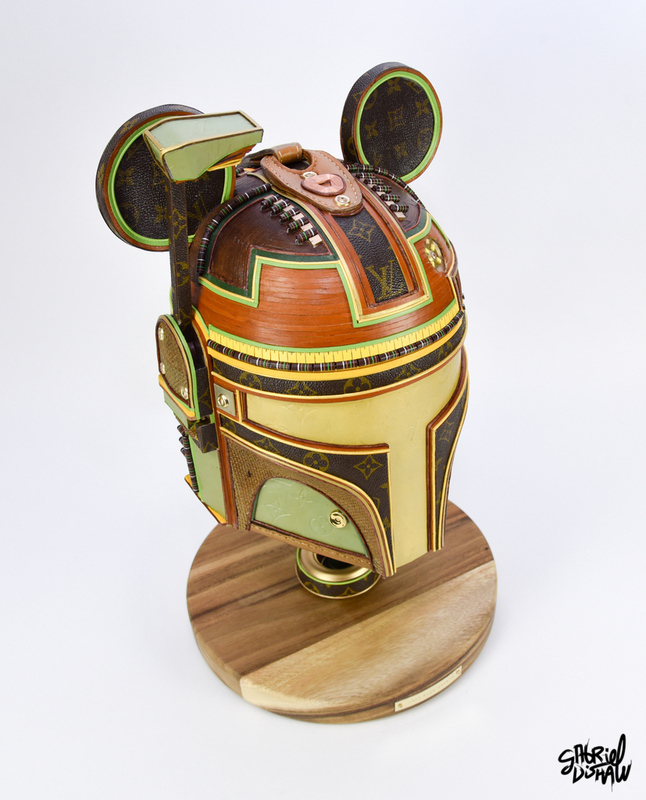 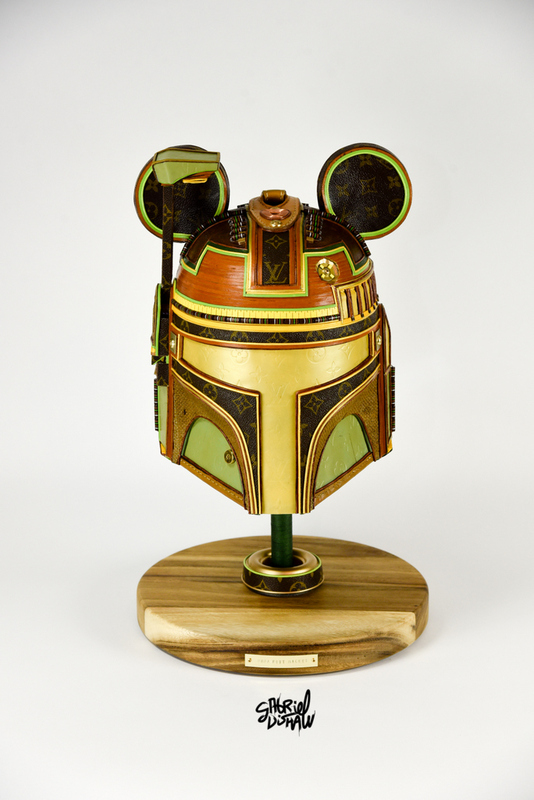 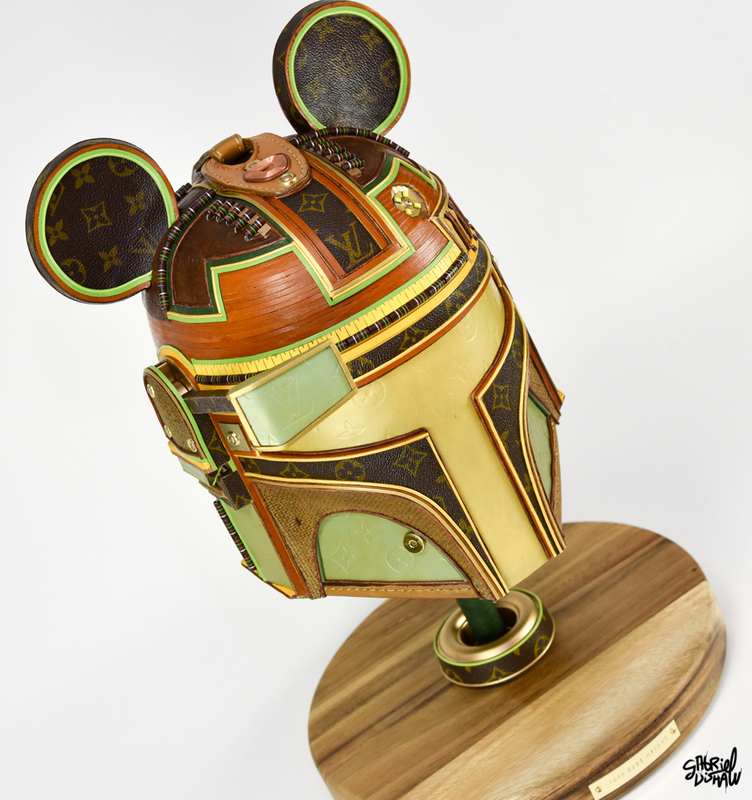 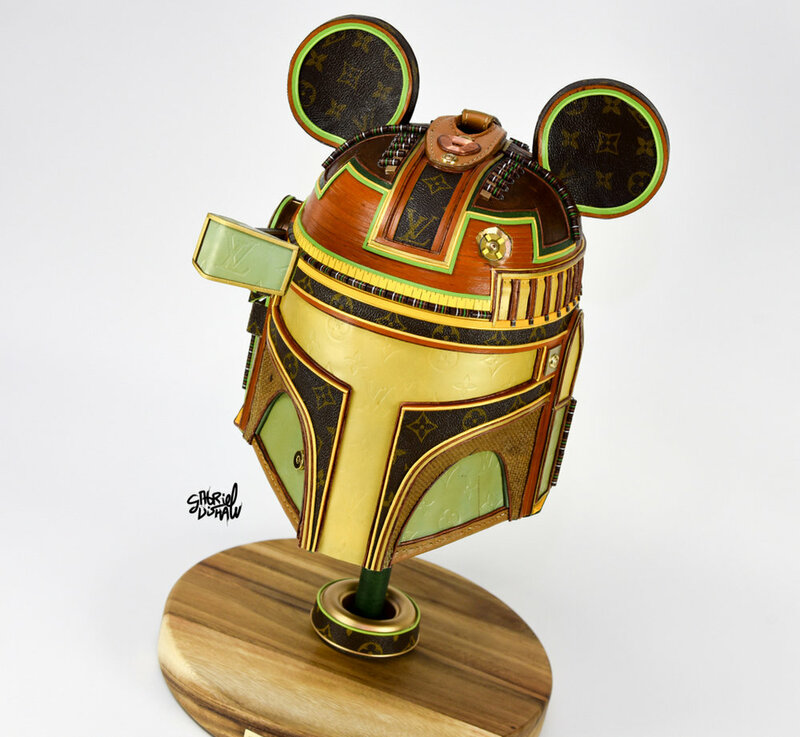 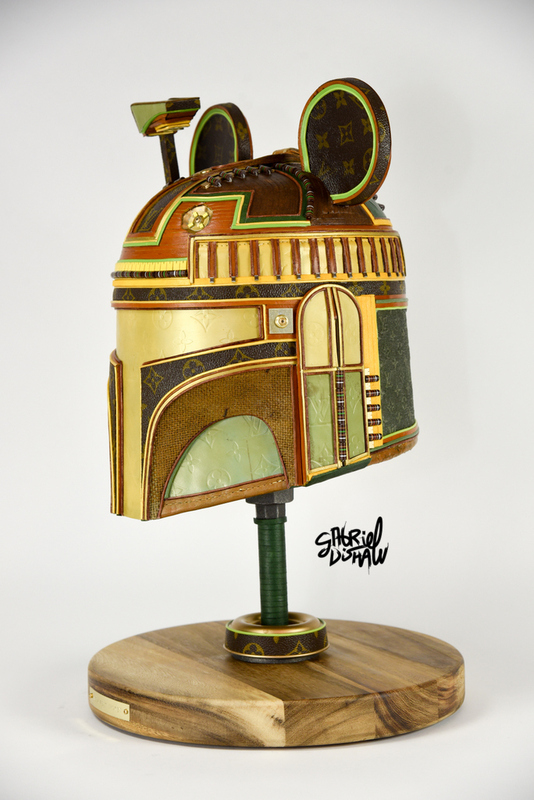 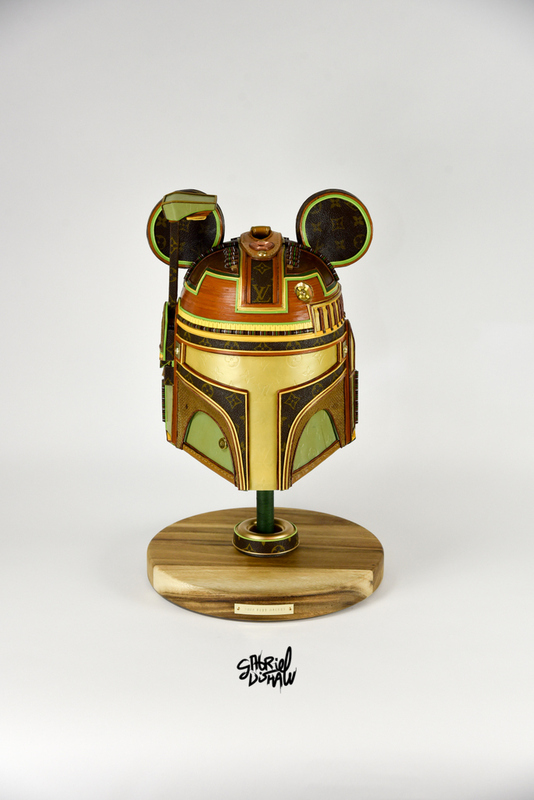 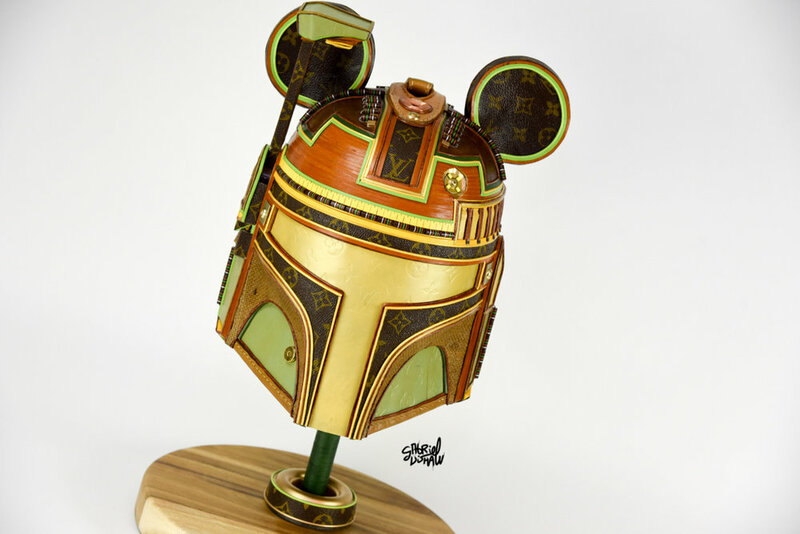 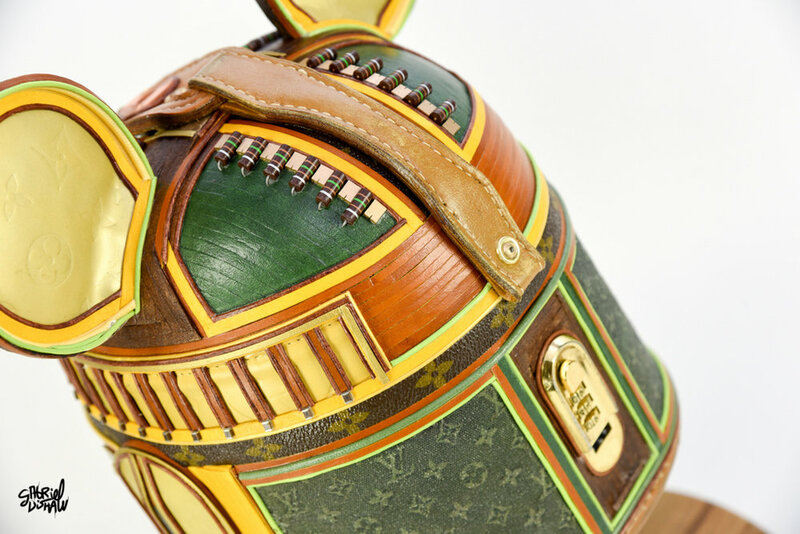 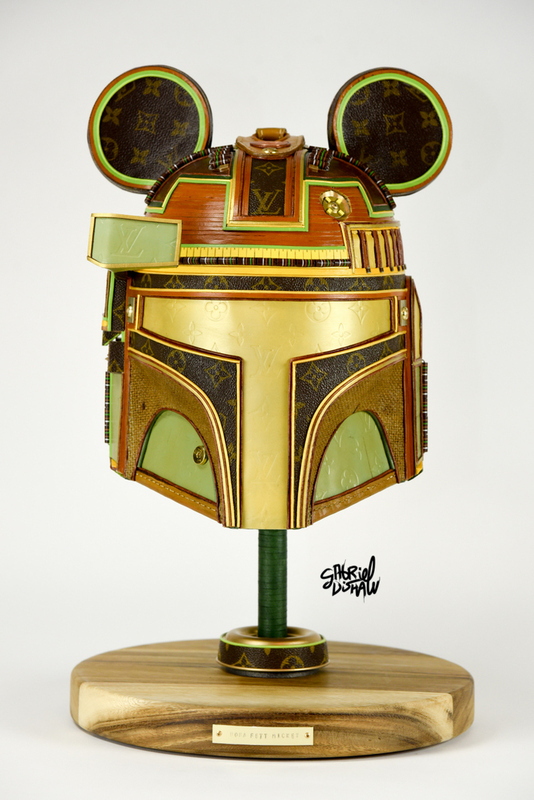 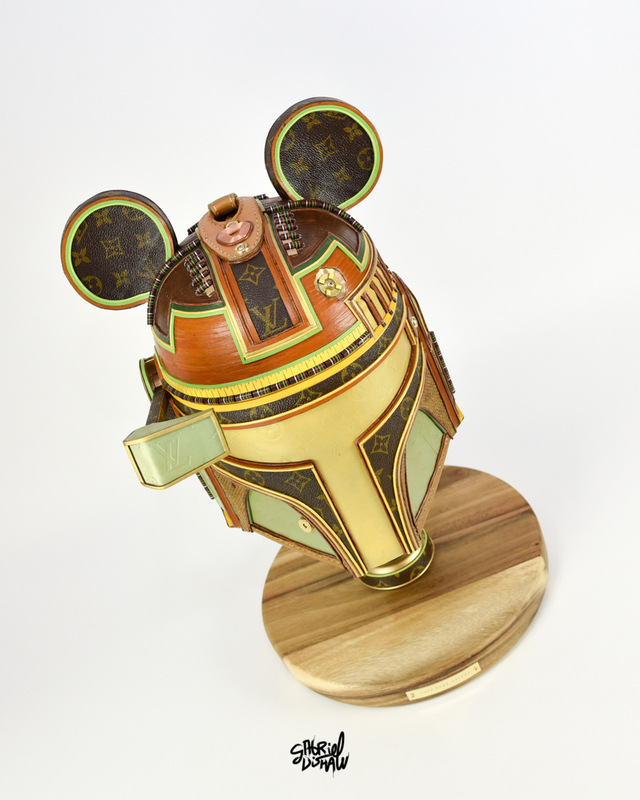 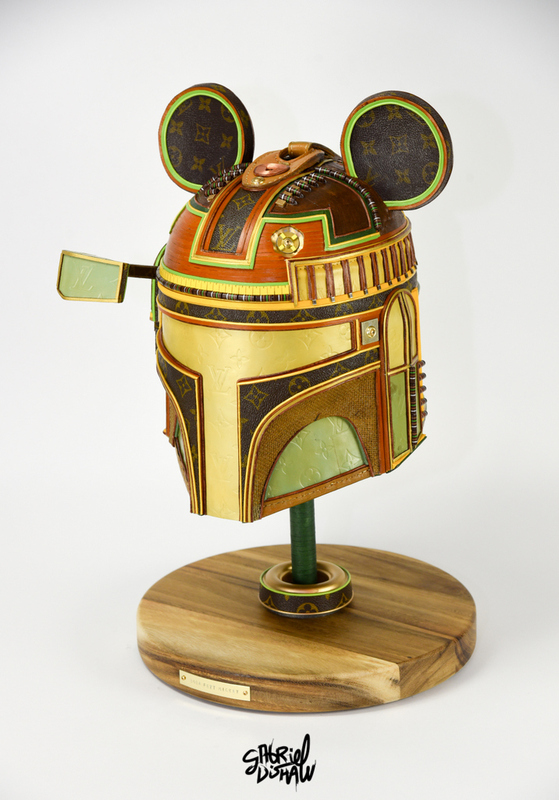 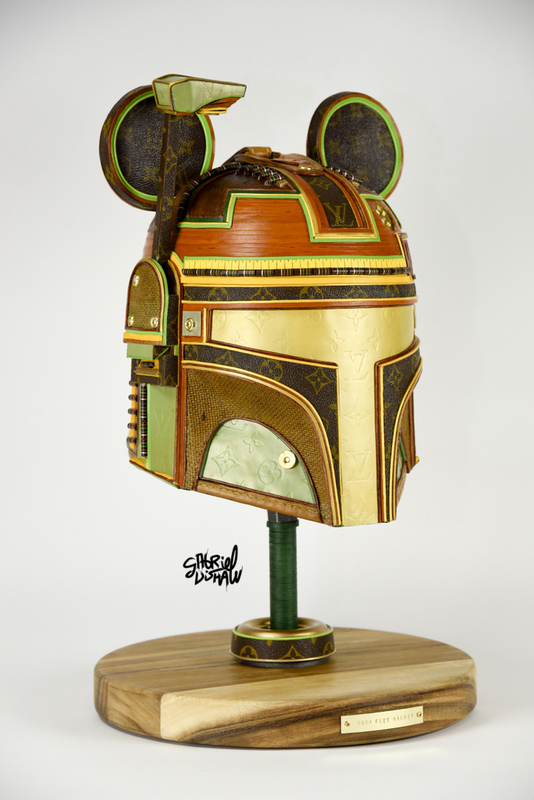 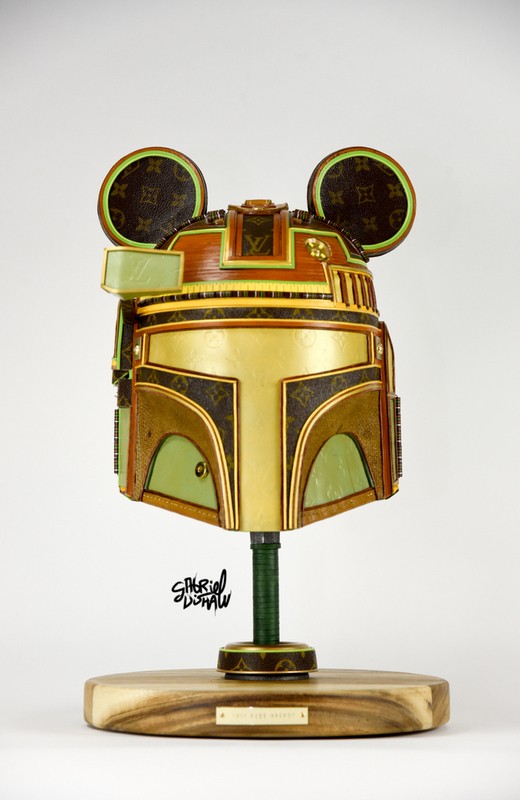 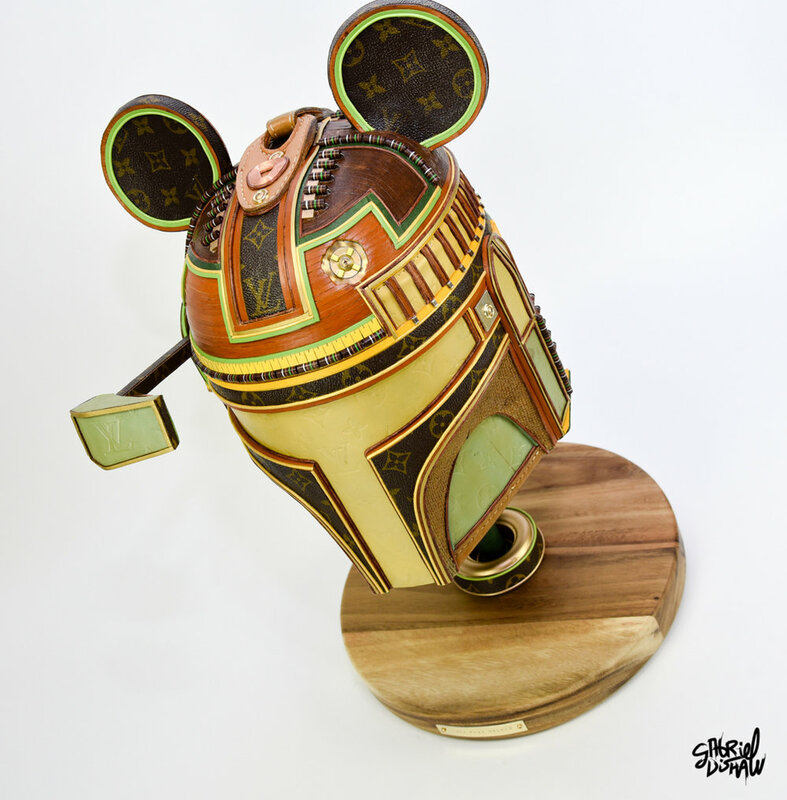 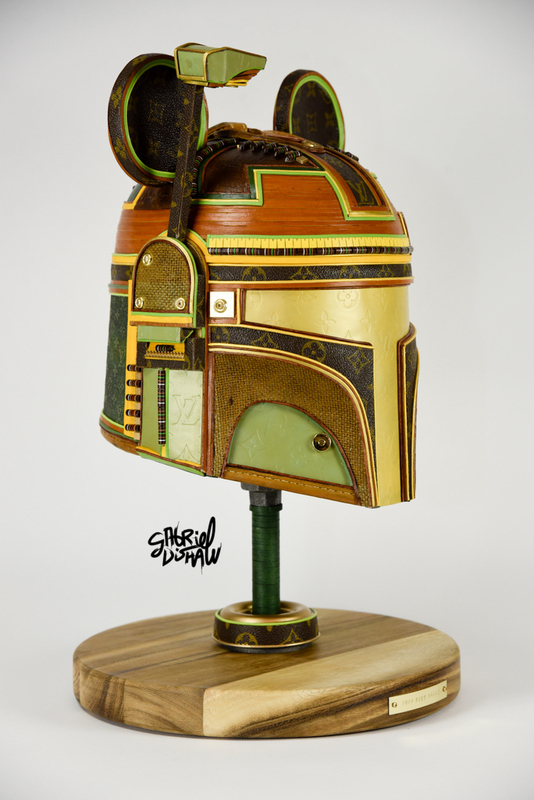 DESCRIPTION AND DETAILS: This upcycled Boba Fett mashup was inspired/modeled after the iconic Luxury Brand Louis Vuitton and Disney's Mickey Mouse. 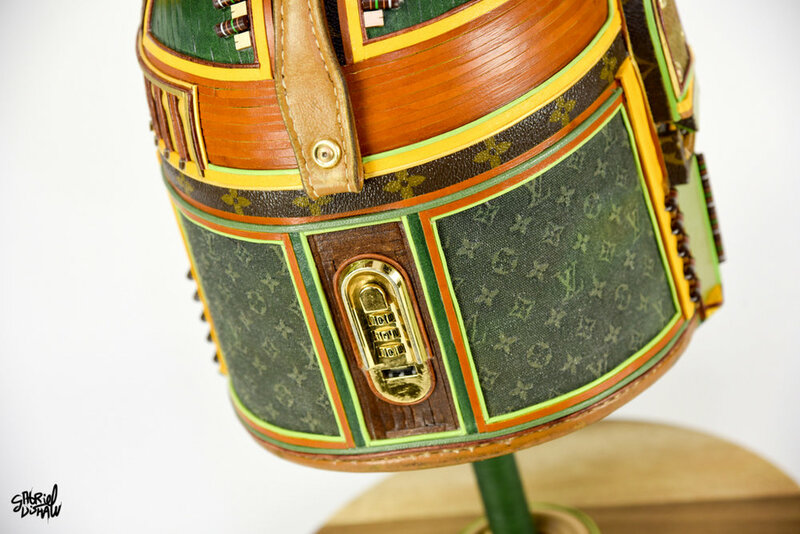 This piece was created using a vintage piece of Louis Vuitton luggage, handbags and other upcycled materials. 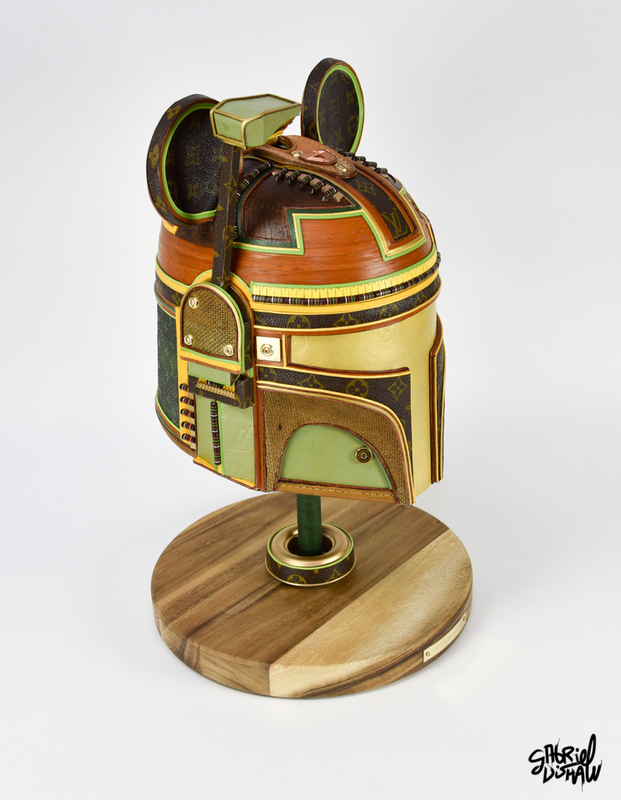 Dimensions: 23.5 inches tall, 13 inches wide and 13 inches deep.